North Korean leader Kim Jong-un must be eliminated if North Korea’s threat to global security is to be resolved, an expert here said Wednesday. “Half of the reason behind the current crisis is because of Kim Jong-un’s explosive temper,” said Nam Sung-wook, a professor at Korea University’s department of unification and diplomacy and ex-South Korean spy agency official, during a Liberty Korea Party security meeting Wednesday. “The problem will not be resolved unless Kim Jong-un is eliminated,” he said. Nam formerly headed the Institute for National Security Strategy under Seoul’s National Intelligence Service. In Wednesday’s meeting, Nam revealed what he had learned about Kim during his years at the spy agency, to support his claim. When he was studying in Bern, Switzerland, at around the age of 15, “Kim had a girlfriend who was a year older than him,” Nam said about the leader of the reclusive regime. Based on this and other anecdotes, Nam said he was able to draw some clues about Kim Jong-un’s personality despite his meager public exposure back then. “(Even then) I thought that he had extremely rough manners and characteristics -- that he was definitely going to complicate things when he comes to power,” added Nam. Nam stressed that although it is crucial not to cultivate fear against the current North Korean leader, Kim must not be underestimated and assessed in a simple manner. He was referring to the South Korean media’s approach toward Kim when he ascended to the head of North Korea in 2011. 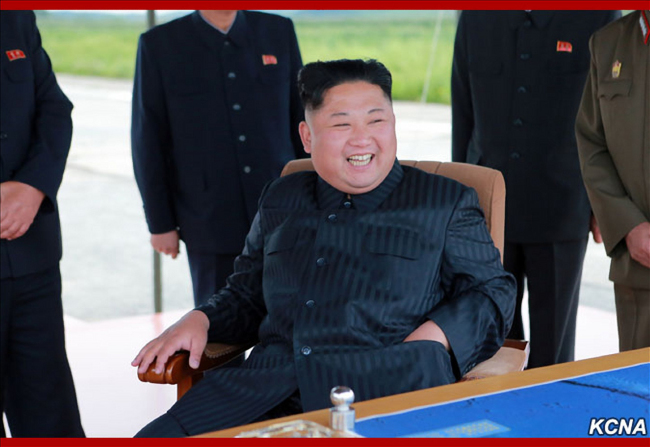 The expert also pointed out that Kim Jong-un likes to demonstrate his power and his position more publically compared to his late father and former North Korean leader Kim Jong-il, which could be why he released photos that showed him signing orders for the latest nuclear test. According to Nam, Kim Jong-un was tapped by his father to lead North Korea after Kim Jong-il suffered a stroke in August 2008. He was chosen, despite being the late North Korean leader’s youngest offspring, because the eldest Kim Jong-nam had spent most of his life overseas. Kim Jong-il also ruled out his middle child Kim Jong-chul, who reportedly suffers from hormone imbalance. Kim Jong-nam was killed in Malaysia earlier this year in what appears to be an assassination organized by North Korean agents.